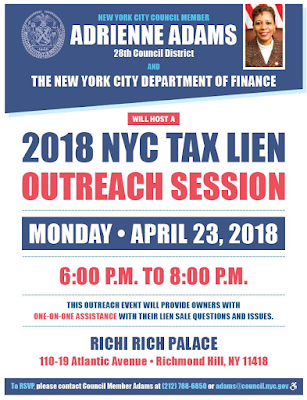 Interested in one-on-one assistance with a 2018 NYC tax lien issue? 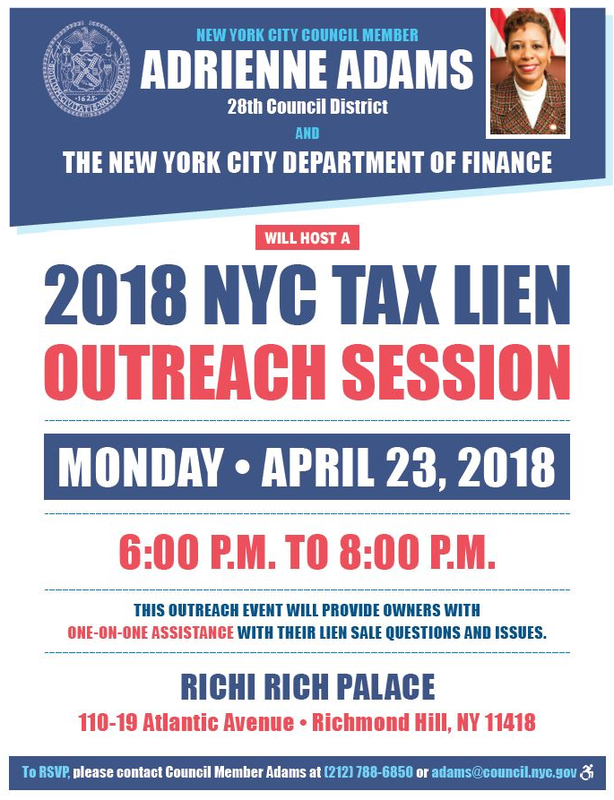 Then the New York City Council Member Adrienne Adams and the New York City Department of Finance invite you to a 2018 NYC Tax Outreach Session. 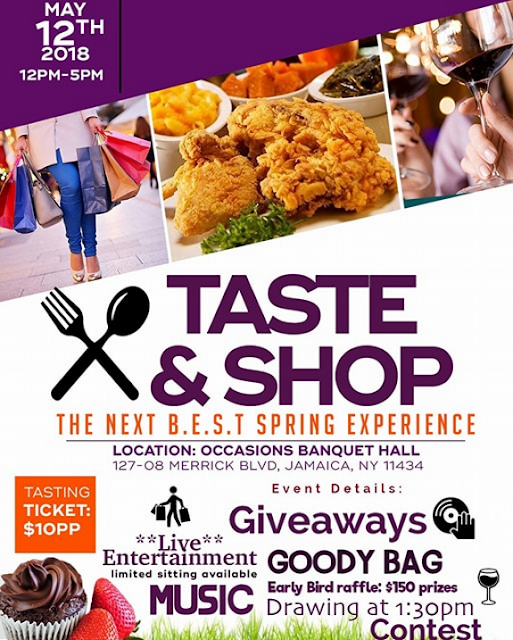 To RSVP, please contact Council Member Adams’ Office at (212) 788-6850 or adams@council.nyc.gov. 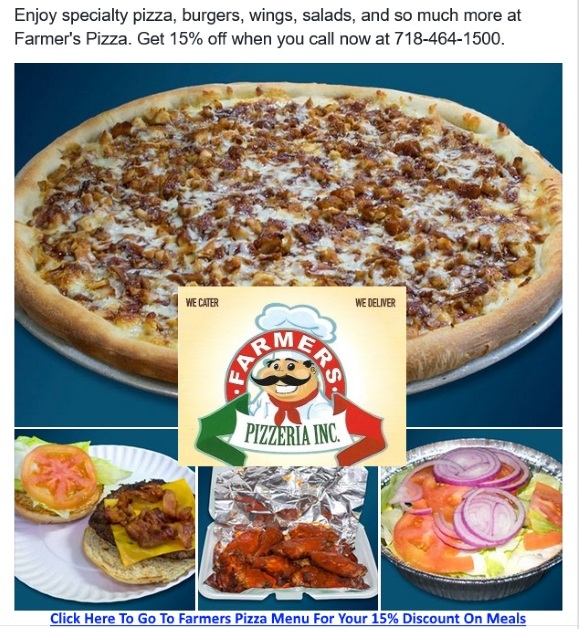 Labels: Interested in one-on-one assistance with a 2018 NYC tax lien issue?